How do you move a 17th century oil painting from Amsterdam to Tokyo? Leave it to Louis. Empress Eugénie, Greta Garbo, Naomi Campbell—some of history’s greatest beauties have ferried their precious cargo in Louis Vuitton luggage. The latest looker to join their ranks is a buxom gal with a much humbler day job: The Dutch domestic worker immortalized in Johannes Vermeer’s 17th century oil painting “The Milkmaid.” For her journey from the Rijksmuseum Amsterdam to an exhibition at Tokyo’s Ueno Royal Museum, The Milkmaid traveled in the plush confines of a bespoke Louis Vuitton trunk. Top that, Mona Lisa. 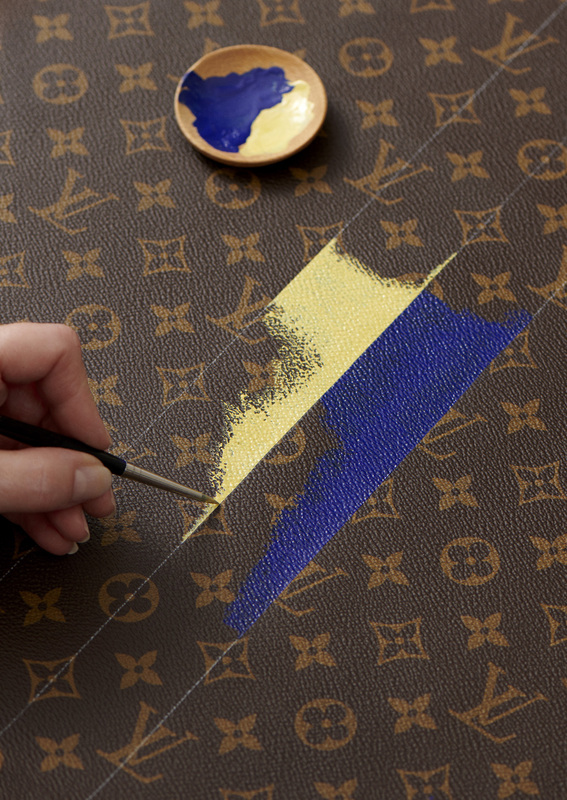 Louis Vuitton is a member of The List, the destination for all things Surface-approved. Want to join The List? Contact our team to find out how to apply. This is hardly Vuitton’s first exercise in transporting fine art. 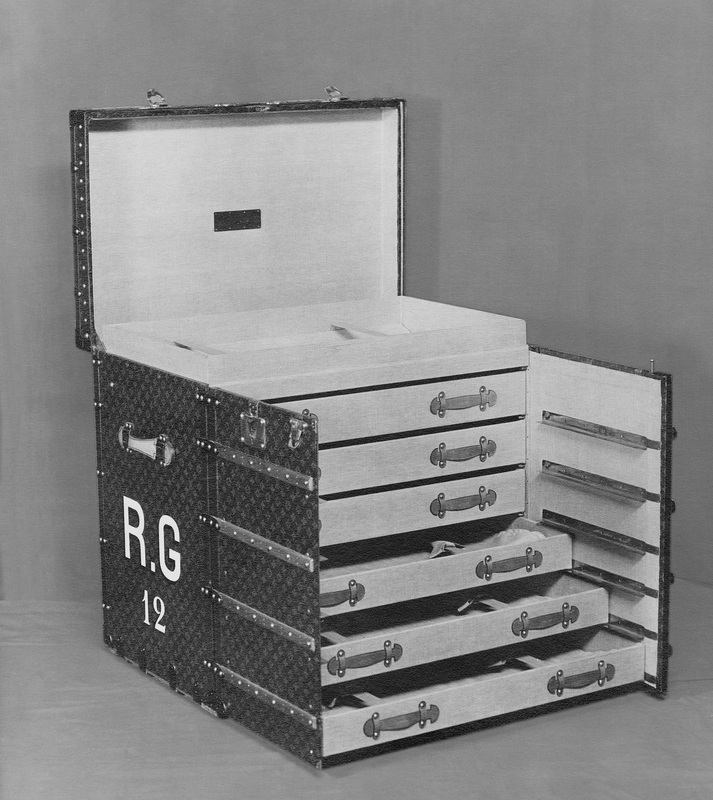 In 1924, gallerist René Gimpel commissioned a trunk so he could safely shuttle his Rembrandts and Titians to clients around the world. Since then, the brand has worked with numerous private collectors, crafting decadent alternatives to the typical wooden crate. So when the Rijskmuseum, which has housed “The Milkmaid” since 1908, was tasked with getting its marquee work to Japan, there was no question about who to call. One of the most recognizable masterpieces from the Dutch Golden Age, “The Milkmaid” is the crown jewel of the Ueno Royal Museum’s new show “Making the Difference: Vermeer and Dutch Art”—running through February 3, 2019, it represents the largest exhibition of the artist’s work ever held in Asia. Beyond its exquisitely detailed realism and ethereal light, “The Milkmaid” is significant for portraying a common household servant with a sense of reverence and heroism typically reserved for royals and saints. Vermeer elevated the pedestrian to high art, much in the same way Vuitton has turned the simple act of schlepping from A to B into a tony affair. To wit, the design of this bespoke coffer for the “The Milkmaid” nods to its contents. 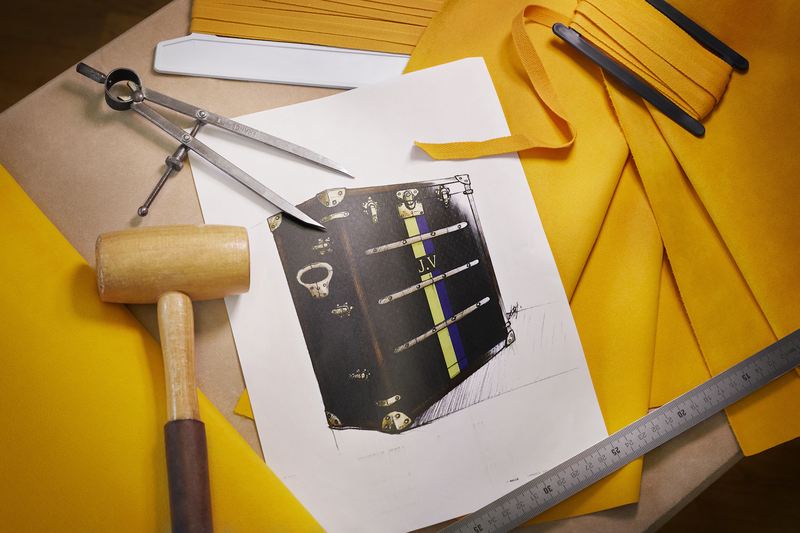 Along with the classic LV monogram and brass hardware, the color palette drawn directly from Vermeer: the hues of the maid’s dress and apron are echoed in trunk’s blue-and-yellow exterior stripes (hand-painted, of course), as well as its tufted yellow lining. Built to match the painting’s measurements—the canvas is approximately 18 x 16 inches, sans frame—this is the cargo equivalent of couture. That may sound excessive, but “The Milkmaid” has been dutifully working for the past three centuries. She’s earned a trip in first class.